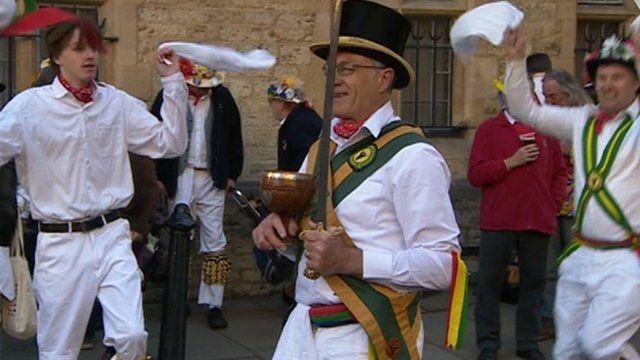 About 6,000 people have taken part in Oxford's May Day morning tradition of celebrating the coming of spring. People gathered to listen to Hymnus Eucharisticus being sung from Magdalen College tower. All-night parties continued with music and dancing across the city. BBC South's James Ingham reports.